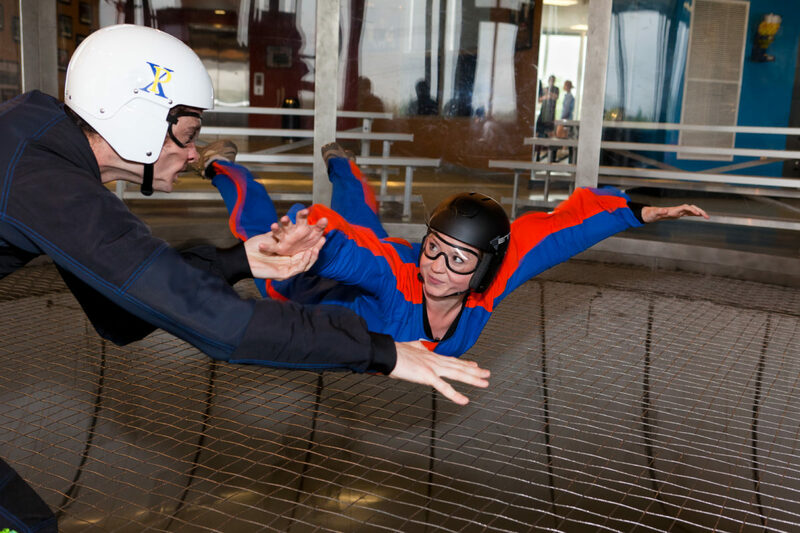 Indoor skydiving is a great way to experience the sensation of freefall and learn how to really fly. It’s a sport that’s enjoyed as a day out or as an ongoing hobby by flyers of all ages. One of the questions we’re often asked is, ‘how dangerous is indoor skydiving?’. Whether you’re looking to fly yourself, or you’re planning a flight for your kids, we know it’s important to understand indoor skydiving safety, how it works and what could happen. 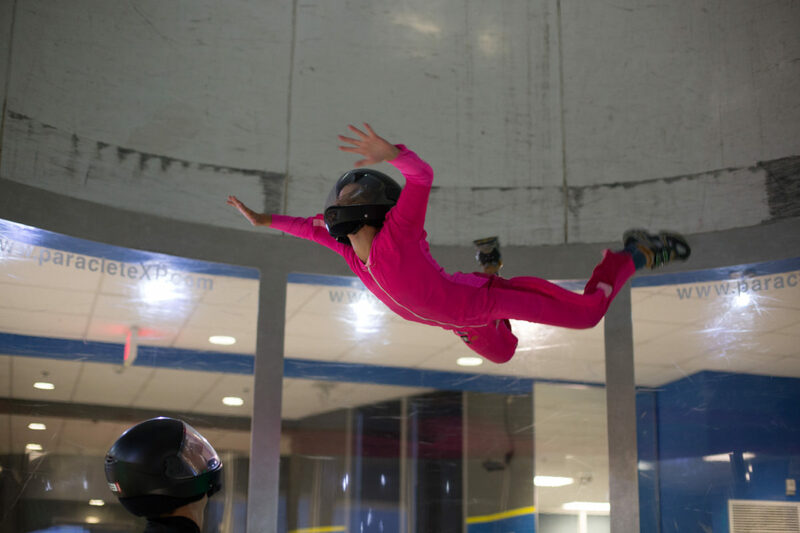 Indoor skydiving is done in a vertical wind tunnel which simulates the experience of jumping from an airplane. It’s much more than that too; indoor skydiving is a sport in itself. This makes it a fantastic hobby for people of all ages. There are even indoor skydiving competitions. Every flyer in the wind tunnel is given a safety briefing beforehand so they know what to expect and the position in which to fly. This brief is given by a fully qualified instructor. You’ll be asked to sign a consent form for yourself or on behalf of a minor if they intend to fly. Once the game plan has been laid out, flyers are given a jumpsuit, helmet, and goggles to wear. These are all there to help protect you during your flight. The wind tunnel itself is a powerful upward stream of air, the speed of which can be altered to suit the falling speed of the flyer. Perhaps the best way to understand it is to see it in action! Watch our live indoor skydiving video feed. Who Can Go Indoor Skydiving? At Paraclete XP, our indoor skydiving minimum age is 3 years old. 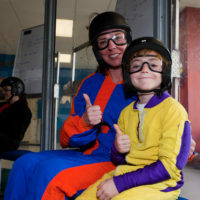 This means indoor skydiving is a fantastic activity for all the family to enjoy. 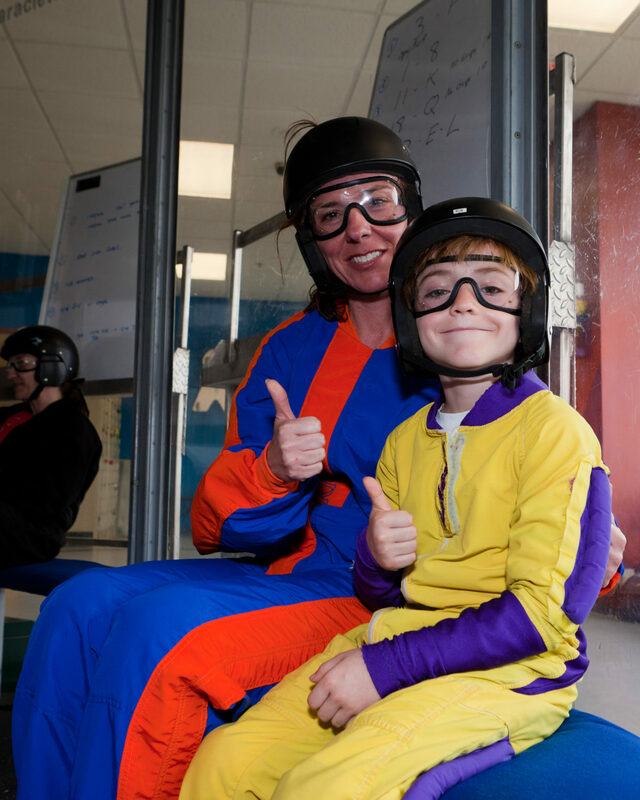 We find that our younger flyers pick up indoor skydiving really quickly. In fact, we often find ourselves quite envious of the way they can move so instinctively around the tunnel. Kids go back to school raving about their party from the weekend. As with any sport, there are indoor skydiving risks to consider. However, those risks are typically limited to bumps and bruises that can be obtained from minor collisions with the tunnel walls. It’s an expected part of flying in the tunnel and many people these days choose to wear elbow and knee pads just in case (though they’re not mandatory). If you’re flying with other people, there’s always the risk that you could collide with one another too. We help minimize that risk through training. In general, indoor skydiving is a really safe sport. It’s is a cardiovascular workout too, making it a great way to stay fit. Indoor skydiving is a really fun way to stay fit. Especially for younger flyers, it’s a brilliant way to meet new people, make new friends and invest in skills that develop over the years and can be taken into competition. It’s also a unique experience. Being an indoor skydiver gives you something really interesting to tell people about. 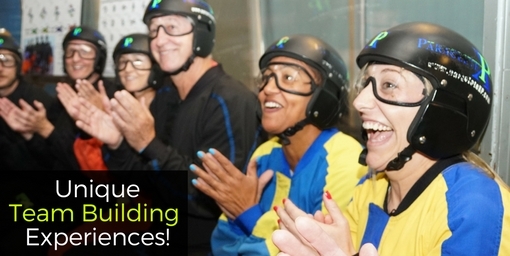 Ready To Give Indoor Skydiving A Try?